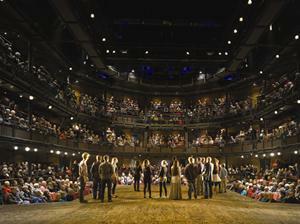 What next for the Royal Shakespeare Company? A few days away from mobile phones, TV and radio combined with the aftermath of a cold have played havoc with posts to my blog. Now back on track, I find that not only has Michael Boyd announced that he will be leaving the Royal Shakespeare Company in 2012 but speculation about his successor is in full swing. Lists of potential candidates, even shortlists and ballots, for the most important job in the Shakespeare world have already started to appear. 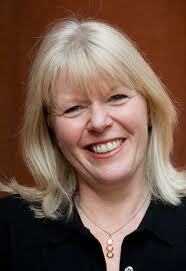 So who should be the next Artistic Director of the RSC? I thought it might be worth looking back to see how the leadership of the Company has developed. In the 50 years since the Company was renamed in 1961 it has had only five Artistic Directors, all theatre directors: Peter Hall, Trevor Nunn, Terry Hands, Adrian Noble, Michael Boyd. At the time of their appointment all were already working for the organisation. Two of them had directed cycles of Shakespeare history plays just before being appointed, as if this was a kind of audition for running the Company. Before the foundation of the RSC many of the people who ran the Theatre were actors, the most distinguished being Anthony Quayle who during the 1950s raised the profile and reputation of the theatre by bringing in virtually all the greatest Shakespeare actors in the country as well as foreign stars like Charles Laughton and Paul Robeson. Further back, before there was an Artistic Director, Stratford was the highlight of Frank Benson’s tours around the country for over 30 years. He became synonymous with the town’s Shakespeare festival, undertaking several foreign tours in its name. Quite a range of possibles have been suggested as successor to Michael Boyd, just as there were back in 2002: then, as well as Boyd himself, two director/actor duos put themselves forward: Gregory Doran and Antony Sher, and John Caird and Simon Russell Beale. John Caird, less high profile than the others, had directed a number of successful RSC productions as well as partnering Trevor Nunn on two of the company’s biggest successes, Nicholas Nickleby and Les Miserables. Talking about partnerships is crucial: it isn’t just Boyd who’s leaving the Company, but his Executive Director, Vikki Heywood is departing at the same time. The interview in the Stratford Observer for 21 October has described Vikki as “Bonnie to Mr Boyd’s Clyde”, and any new Artistic Director will need to establish a similarly strong relationship with their Executive Director. So who, so far, is being suggested? The most obvious candidates are the three RSC Associate Directors, Gregory Doran, the most senior, Rupert Goold and David Farr. Michael Billington included in his list Dominic Cooke (currently at theRoyal Court), Marianne Elliot (at the National), and Michael Grandage (now at the Donmar). Billington’s list didn’t include any actors, but both Kenneth Branagh and Sam West have experience of directing and of management. Both, incidentally, have been notable Hamlets for the RSC. Only a couple of weeks ago Kenneth Branagh, with immaculate timing, mentioned that it was his ambition to be Artistic Director of a theatre company. Branagh’s got the huge advantage of being a globally-known Shakespeare actor, though his appointment would probably not please those wanting the RSC to pursue an edgy agenda. The Boyd/Heywood collaboration has achieved what seemed impossible less than ten years ago: the successful transformation of the RST, the Complete Works Festival, the building of the temporary Courtyard Theatre, the reintroduction of what seemed to have become a dirty word, the ensemble. Partnerships with theatre companies worldwide have been encouraged and major foreign visits have been carried out. The plans for the 2012 Shakespeare Festival are in place. The way seems clear for the Company to exploit the potential of having two fully-functioning theatre spaces in which to focus on Shakespeare’s plays. Peter Hall’s appointment, back in 1960, set the tone for a completely different style of theatre: moving away from the glamour of established actors like the Oliviers, Hall proclaimed that the company would create its own stars, and so it did, and continued to do. The theatre’s now at another crossroads and the new Artistic Director will almost certainly put the Company on another new path, perhaps for years to come. It’s going to be a fascinating few months until March when the announcement is made. “The readiness is all”. This entry was posted in Shakespeare on Stage, Stratford-upon-Avon and tagged David Farr, Gregory Doran, Kenneth Branagh, Michael Boyd, Peter Hall, Royal Shakespeare Company, Rupert Goold, Samuel West, Shakespeare, Vikki Heywood. Bookmark the permalink. 7 Responses to What next for the Royal Shakespeare Company? Interesting news. 🙂 However, my personal, if likely to be unpopular with Stratford’s blue rinse crowd (! ), opinion is that the RSC is already too ‘snooty’ for the purpose of unfettered creative development- so Kenneth Branagh, despite his ability, would not be an appropriate choice. Zoe Wanamaker, on the other hand, would be excellent as Artistic Director of the RSC- am surprised that she didn’t receive a mention. One omission from your list of potential names is Michael Attenborough. He held a senior position with the RSC for a number of years and directed some well-received productions. His experience since then of running the Almeida should stand him in good stead. I am afraid that the suggestion that an actor might be relevant rather disregards the serious management issues needed on the artistic side (obviously they are a key factor in the other job). The last actor to do the job was Anthony Quayle, who, apart from having Barry Jackson to guide him for the first two years, had been a colonel in the army as well as other military roles. Branagh has run a theatre company and is rather less elitist than Lucy Beveridge implies (actually I am not sure what her sneer at being snooty means. It disregards the exsisting RSC work in schools and fringe theatres around the UK. It also implies startlingly disregard for potential paying customers in a time of cutbacks). I’ve not heard Michael Attenborough’s name mentioned in this context either, though I agree he has a good track record. The other person nobody seems to have mentioned so far is Sam Mendes, who did some wonderful work with the RSC back in the 90s. Thanks for your comments! Can I raise a more local issue- namely the future of the Shakespeare Birthday Celebrations. It all seems to being decided in a very short period of time and, as I understand it, the Birthday Lunch and the International dimension are to disposed of. Some of this seems a pity, especially considering the lenghy history of the event. I have heard one leading member of the Town Council waxing jubilant about the ending of the lunch, claiming that it was only for snobs. However this misses an important point. The Lunch was, as far as I know, the only time when the towns three Shakespeare bodies acted in unison although the RSC seems to have not had its fair share with Michael Boyd or Christopher Bland never asked to speak- an oversight made worse by the fact that they are both retiring so the collective town cannot show their gratitude. Excuse me, but this an honest opinion, honestly expressed, not a ‘sneer’. I leave the sneering to those who derive pleasure from it.